Yeah, I have an iOS device as well and I really wanted to get it working for MCPE 1.1. I tried multiple times but I would probably need to completely rewrite it. That would be far too much work. I tried multiple times but I would probably need to completely rewrite it. 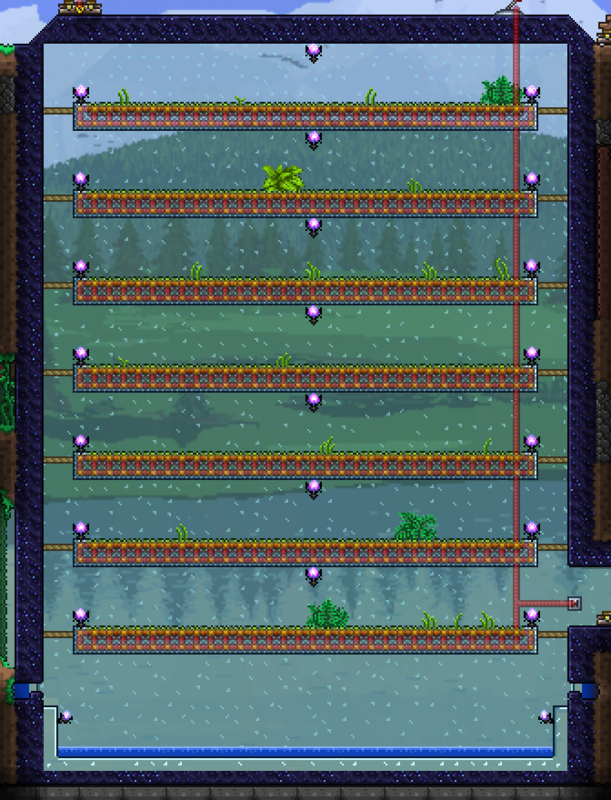 Make a farm in the underground jungle, which has 3 rows of blocks, with a 1 block space between each row, and above it a 3 high space for you to pass through, repeat that as many times as necessary. The issue is that you will need to keep cutting the grass and bushes which spawn. I opened Hard mode on my newest world and the corruption spawned RIGHT through the jungle. After 500 hours in 1.2, and dozens of ruined jungles, I had a revolutionary and original idea to possibly make a "Dark Green" solution that could convert dirt into mud and other grasses into jungle grass.